Welcome to La Maison Barito, a luxurious and exclusive residential tower in the most strategic location in the heart of Southern Jakarta, Kebayoran Baru at the intersection of Jl. Melawai and Jl. Barito. The residence is developed in a modern architecture design with space efficiency and high-end finishing to complement the metropolitan lifestyles of the residents. 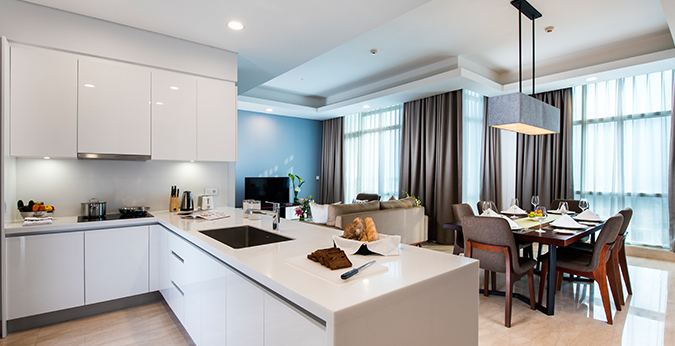 Offering a premium service level and popular facilities at the residence, La Maison Barito intends to provide comfort living for all of its residents to make it their home to own. The 2 & 3 bedroom unit is available for purchase ownership. Also for lease unit are available under Oakwood Suites La Maison Jakarta service residence. 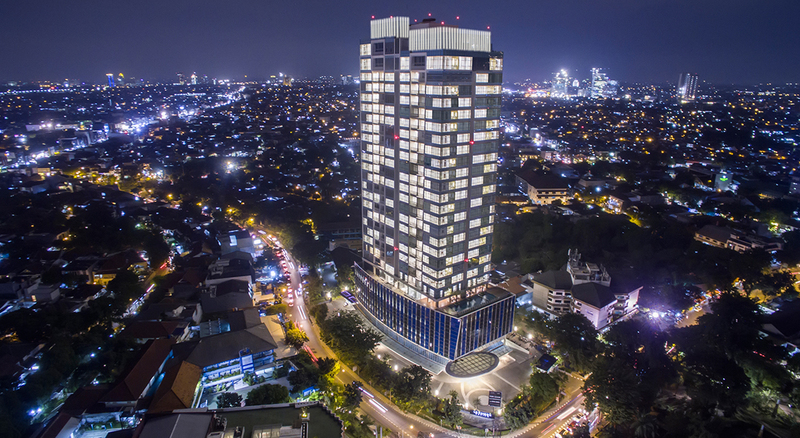 Oakwood Suites La Maison Jakarta is the first Oakwood Suites property in Oakwood’s portfolio, combining luxe apartments with unobtrusive service. 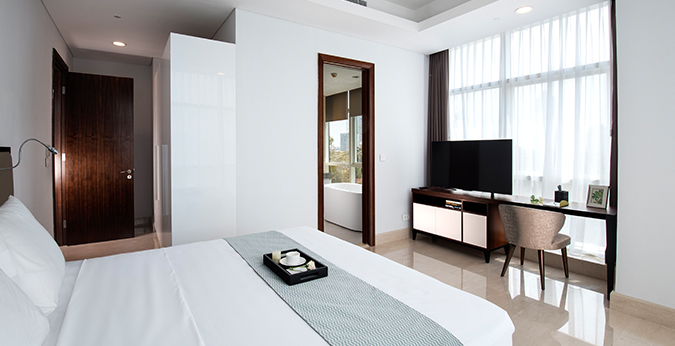 Oakwood Suites La Maison Jakarta offers comfort in a private and exclusive environment, allowing guests to rejuvenate with their every need attended to. It is designed for international travelers who demand luxury and style. La Maison Barito and Oakwood Suites La Maison Jakarta are equipped with luxurious facilities that enrich the residents lifestyle. With gourmet dining, cafes and speciality retail located nearby, residents can dine and shop at their convinience. Experience a refreshing atmosphere and enjoy leisure activities without leaving the comforts of home. La Maison Barito and Oakwood Suites La Maison Jakarta is not just a home, it’s a lifestyle. Shop comfortably and experience a hype dinning & hang out place in south Jakarta. A luxurious home with innovative architecture located in the heart of South Jakarta, La Maison's 32-storey tower offers a spectacular bird eye view of Jakarta. Making it's home in the heart of South Jakarta's burgeoning metropolitan area, The excitement of the city awaits right at the front of your door step. With the tower minutes away from the Center of Jakarta's prominent Business Centers, Shopping Districts, and Restaurants - La Maison Barito is the ideal setting for modern living.